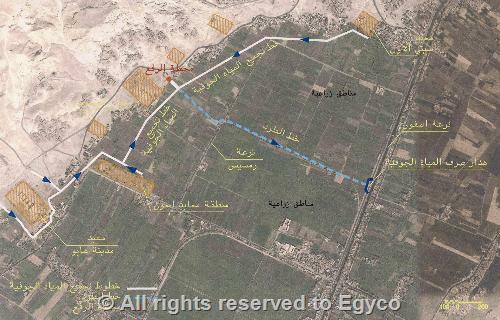 The project aims to protect the Pharaonic antiquities , temples and excavations, which are located on the west bank of the River Nile in Luxor. The project includes a groundwater collection system to reduce the level of salty water down these antiquities. The total quantities of expected collected and disbursed water reaches about 1100 m3 / hour. It is expected that the lowering of groundwater levels in these areas will lead to drying and protecting stones of temples and monuments' foundations from corrosion and damage.